In Annapolis, Ken Niumatalolo (who you may remember from the documentary Meet the Mormons) has a coveted job as the Navy head football coach, but there’s another Mormon at the Academy with a sweet role. Latter-day Saint returned missionary, Midshipman Cathryn DeLong, takes care of Bill, the mascot. 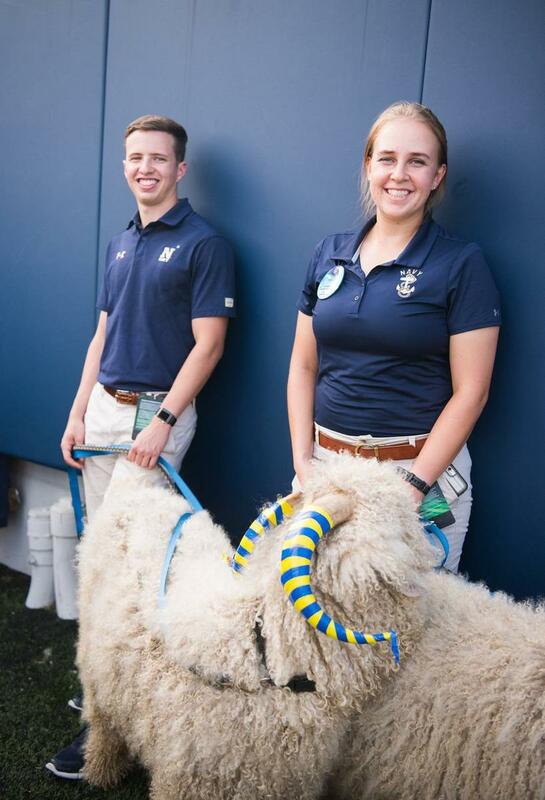 Team Bill is in charge of keeping Bill #36 and Bill #37 (yeah, there are two goats) hydrated, warm, and safe—because the sports field on game day can get pretty dangerous when the plebes sprint onto the field without considering that they might trample the school mascot. They’re super cute, aren’t they? DeLong thinks so, too. It’s been a great experience for her. Soon she’ll be graduating in operations research, be commissioned an officer in the U.S. Marine Corps and begin training to fly C-130 transport planes, which is also pretty cool—maybe even cooler than taking care of a couple of big, fluffy goats. Traditionally animals were kept on board to provide food like eggs, milk, and meat, but the goats tended to act more as pets than an option on the menu. Legend has it that a beloved goat died before a Navy ship docked at Baltimore, so the goatskin was saved and used on the field for a half-time performance in a football game. Leave it to the officers to show some Team Goat spirit. The tactic worked—sports victory for the Navy. 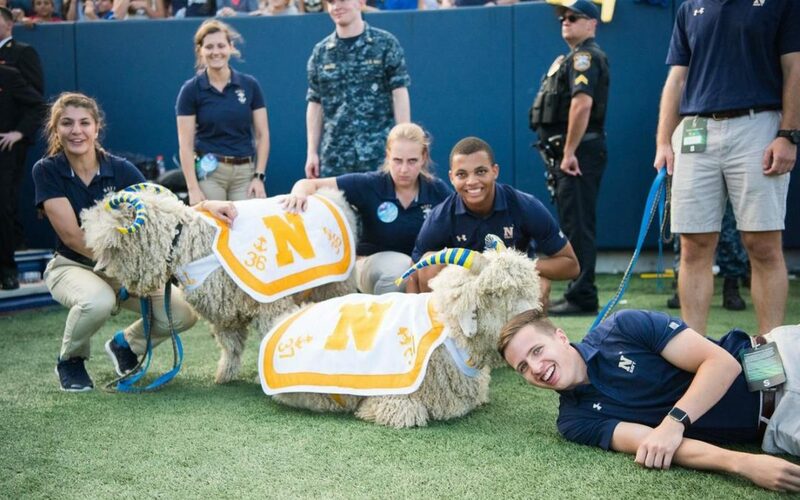 So since 1893, the naval academy has been showing off its mascot at sports games. The first goat was named El Cid but later the name “Bill” was given to the Navy goat and the 36 goats that followed, in honor of a pet goat belonging to Commander Colby M. Chester, first president of the Naval Academy Athletic Association.